Previous Entry:Thought Experiment: I bet you could teach an entire math course with this one graph. Next Entry:Red Solo Cup / I Lift You Up / Let’s Find the Volume! / Let’s Find the Volume! Super interesting post! 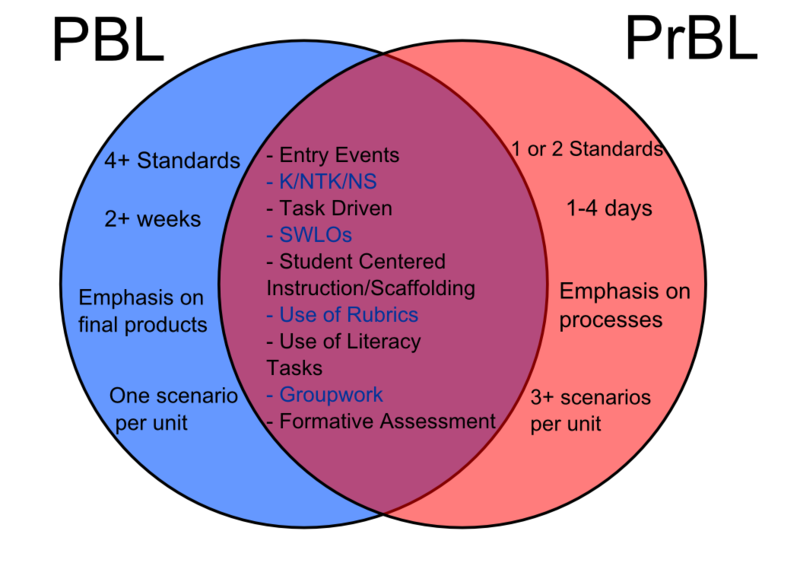 I think a lot about this distinction (and I think you and I have discussed it before) between PrBL and PBL. I appreciated you addressing some of the common misconceptions of the PrBL approach. The more I think about it, the more I begin to realize that there are many variations of both the problem and project-based approaches. The way in which we carry out these approaches is usually rooted in our educational philosophy, definition of mathematics, and beliefs about working with students. A teacher could easily turn a project-based approach into a slightly different version of what we would consider “traditional instruction” which, I believe, is not the point. Thanks again for a great post. I look forward to reading more! Thanks for the comment, Bryan. I’m totally with you that I’ve seen even PBL classrooms be too traditional in nature. Many times the problem or project scenario is posed, there’s some light brainstorming, and then the teacher will slide right into lecture mode (i.e. “this is how you do the project”) without properly letting students productively struggle with the topic or try a few different approaches. 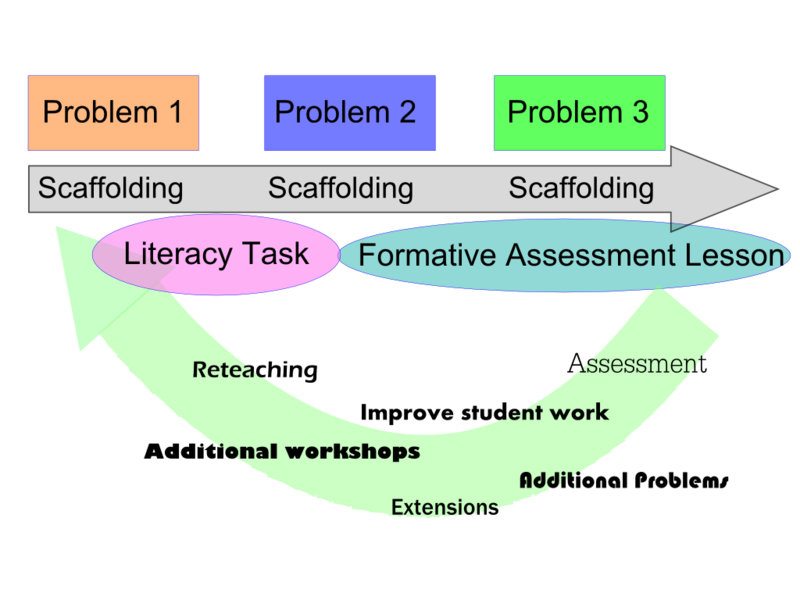 I know this is a rather old blog post, but someone forwarded it to me (referencing it as a source of the major differences between problem- and project-based learning). I think that there is a lot missing in your definitions of both. As you state “The primary differences are size, scope, and end product. 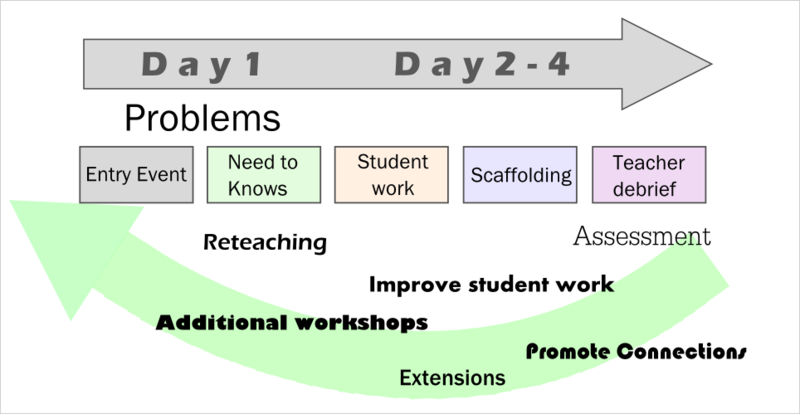 And then also a particular mathematical concept may require several problem scenarios instead on just one project scenario.” There’s actually so much more in the process of learning that needs to be considered and one of the major components of both types of PBL is the level of authenticity of the task. It is very important to realize where the learning of the actual mathematics is taking place or is it within the project (or problem) where the use of the mathematics that is already known is happening. See my blog post http://www.carmelschettino.com/wp/2012/07/ for what I see as the major difference. I like your list of “misconceptions” – I do believe the question of assessment is a huge one that hasn’t even begun to come to fruition in PBL. There’s the assessment of the mathematical skills themselves and then the assessment of the communication, creativity, ingenuity, collaboration etc. that PBL so wonderfully fosters. Yes, creating rubrics is a must, but creating a rubric per unit only helps with that unit – often having a rubric for overall class/group contribution gives students ideas about what they should be doing regularly as well. Thanks for your work on this interesting post. Thanks for your comments Carmel. I’m not sure I have much to add except a couple potential clarifications. The question around authenticity is one that certainly led to my foray into Problem Based Learning over Project Based Learning. With the benefit of time, I can look back at my projects and say they may have been “engaging” and “authentic” in the traditional sense, but that kids weren’t as *engaged with Mathematics* or the tasks were *authentically mathematical*. Kids were spending a week and getting excited about making a really cool video for their final product rather than getting excited about the mathematics. Usually the math would come in the last slide of the power point as a sort of “oh yeah, by the way, here’s some math that we did”. The projects may have been authentic in the sense that they had reach beyond the math classroon, but inauthentic in the sense that there wasn’t a heck of a lot of Mathemetician-like behaviors being exhibited. As for rubrics, I tend to have a sort of generic rubric that I start with and then slide indicators in and out for each problem or problem unit, depending on the task or what dispositions I want to work on. That way you don’t have to reinvent the wheel everytime (and you can track growth across certain indicators) while also being able to keep the rubric specific to the task at hand. SLWOs: Schoolwide Learning Outcomes. In our case, in addition to Content Knowledge, we also teach and assess on Collaboration, Oral/Written Communication, and Agency. Any other weird, word-slaw things? Oh thanks, Geoff! I actually went and Googled them and ended up finding them out that way, lol. They make sense! I showed the diagram to my exec and their eyes nearly popped out with all the acronyms, lol! It’s great thought – thanks.